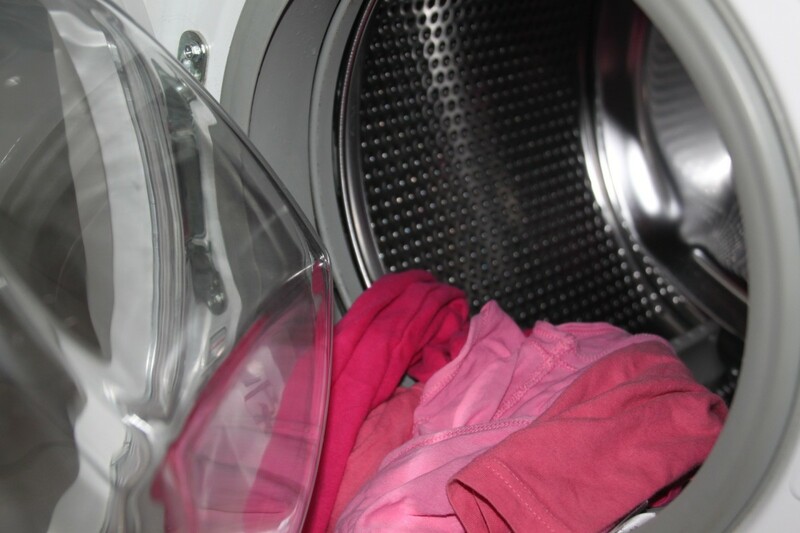 When a Washing Machine Floods: What a Mess! Water all over the floor? 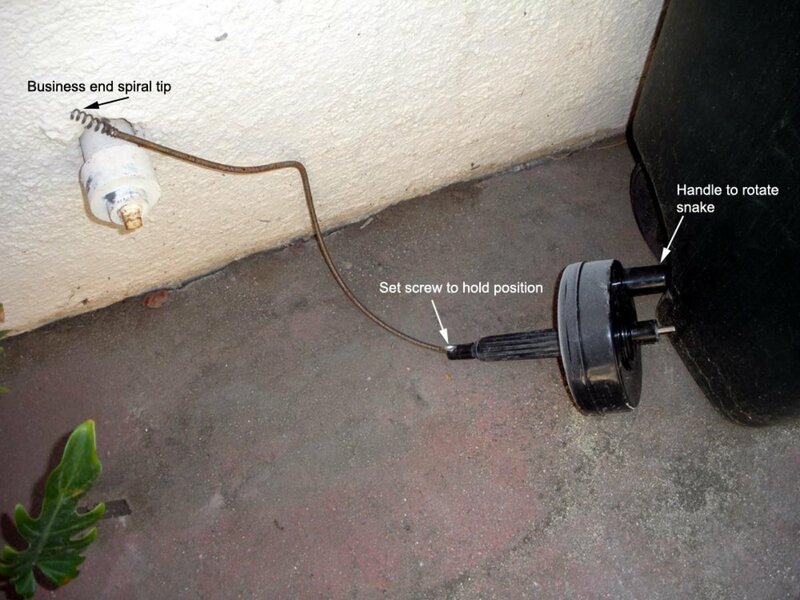 Problems with your washing machine drain pipe? I've lived in several old houses and dealing with overflows from my washing machine has always been a struggle. Our current house was built in 1972, and the overflow from the washing machine drain pipe was our first major homeowner disaster. If you've struggled with this plumbing problem, I'm going to give you some ideas for solving it. What Causes aWasher Drain to Overflow? I suppose when we bought our house we should have paid more attention to the patched plaster on the wall behind the washing machine-- a clear sign that overflow from the drain pipe happened before! A few months after we moved in, water started overflowing everywhere during the drain cycle of the washer, and we realized we had a real problem. Older houses like ours were built when washers were smaller and didn't require as big of a pipe to drain them. 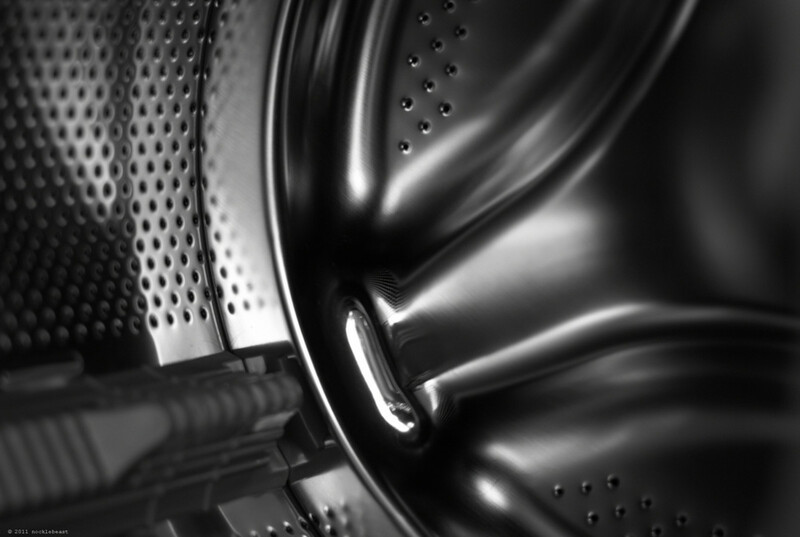 Today's extra large capacity washers use more water and spit it out faster. The result? The pipe that the washer drains into can get overwhelmed and overflow all over the floor. Even if you have a low water use washer, you can have this problem if lint clogs up the drain. That's what happened to us. We would get the drain cleaned out, and everything would be fine for a while. Then, just when I was overloaded with laundry from three preschoolers, there would be another messy disaster all over the floor. Call a plumber. This fix might be temporary or long-lasting, but either way, it's expensive, especially if you have to do it more than once as we did. Use a wire mesh lint catcher. It catches all of the lint exiting the washer so that it doesn't clog your drain. Change or clean the catcher monthly. This didn't completely solve our problem but is a good first step that we have used for 20 years. Use enzymes regularly. Treat your drain monthly with enzymes to clear out the soap scum. Definitely helps if you do it regularly. Install a laundry sink. This will allow you to put a mesh lint catcher on the end of the drain pipe and carefully monitor the flow of the drain. Our final solution along with the lint catcher and enzymes. Buy a front-loading washer. Front-loaders use much less water, which means they might not overflow your existing pipes. If my drain does not clog up, it never overflows with a front-loader. Use a drain snake regularly. When your drain starts draining more slowly, try snaking it out with a professional metal snake, or just snake the first couple of feet with a plastic one. I still do this occasionally, especially if I've skipped a month of enzymes. Each of these steps is fully described and explained below. For a temporary fix, you can call a plumber and have the drain cleaned out. We did that several times, and we found that took care of the problem for a while. However, after a few months of lint and soap build-up, we'd have an overflow again. We talked to a few of the plumbers who came out to unclog our drain. One thought he could put in a bigger pipe in the wall, but that wouldn't help the clogging or the size of the pipe that is in our slab. Another plumber talked about putting a pump in the pipe, but he wasn't sure of the result. The best way to stop laundry overflow is to use mesh lint catchers that attach to the end of your washing machine drain pipe. A strip of plastic tightens around the drain hose to keep the mesh sack from falling off. The mesh catches all of the lint coming out of the washer so that it doesn't go down your drain and cause clogs. Where to buy mesh lint catchers? I used to buy these at Walmart or Walgreens, but lately have had trouble finding them, so I bought them in bulk from Amazon. After seeing how much lint gets trapped by these, I can understand why my drains overflow! Change mesh liners monthly: Generally, I change them once or twice a month, or whenever I see them getting full. If you are washing a lot of new towels or other items with a lot of lint, you may need to change them more often. I've tried other lint catchers like fabric mesh and pantyhose (a homemade solution I saw on the Internet), but those don't seem to work as well and I always end up back with the wire mesh again. These really aren't that expensive if you buy in bulk, and they are a lot cheaper than a plumbing bill. Metal mesh: I use this kind because it seems to work best for me and looking at many reviews and the comments I've had from my readers, I think this is true for most people. Metal tends to catch more lint than nylon mesh and is easy to replace. They are inexpensive, but sometimes hard to find, so I buy mine in bulk from Amazon. Pros: inexpensive, catches more lint, easy to replace. Cons: sometimes hard to find (I buy in bulk from Amazon), metal can corrode if it is submerged in water too long. Fabric mesh: I've tried these and they did not catch as much lint. However, on some reviews, I saw that people use two of them together to make them catch more. Then you take out the inner one when it is full and replace it. That might work fine but seems like more trouble to me. However, if your lint catcher is regularly in the water from the tub, a metal one can get rusted and fabric might work better. Pros: inexpensive in bulk, won't rust, might stay better for high-pressure water. Cons: harder to find, doesn't catch as much lint unless you use two, a bit harder to put on. Pantyhose: This old-fashioned solution will catch even the smallest lint pieces, so it can be a good choice if you really need to keep all of the pieces of lint out of your drain. However, because most of us don't use pantyhose anymore, this may not be the cheapest solution and there are some distinct disadvantages. Pros: free if you have used pantyhose or knee highs (although more expensive if you have to buy them), easy to find, catches all the lint. Cons: harder to put on the drainage pipe (try using a zip-tie or tight rubber bands), might get too full and break, harder to get a tight fit on the hose so it can slip off and clog the drain. In-sink lint trapper: I discovered this recently and think I may buy one, even though at $16 and up this is one of the more expensive devices and some people say you still need a drain pipe catcher too (I'm pretty sure I'd keep both). One disadvantage of anything put on the drainage hose is that it can fall off and then block up the sink (after having that happen once, I'm just really careful that mine is on tightly). That is the main reason people like the in-sink lint trapper instead. This sort of trap sits inside your drain and catches lint as it drains down. 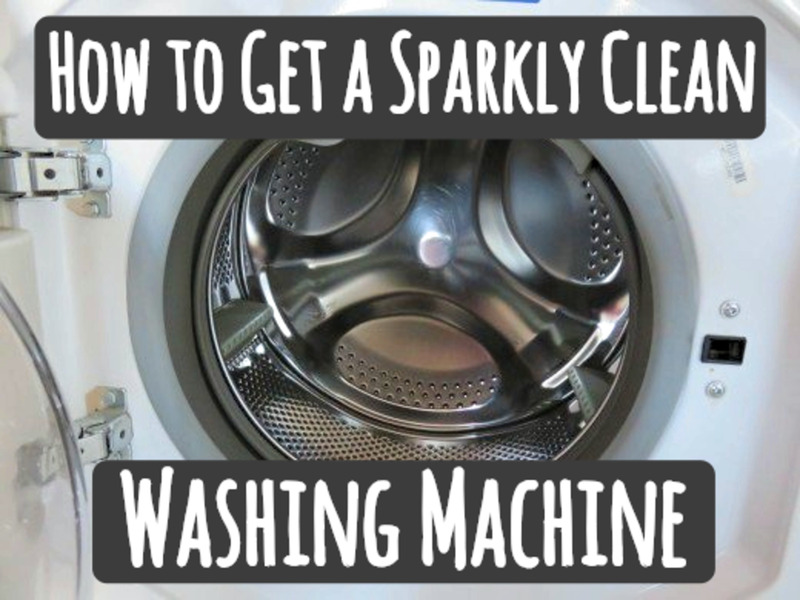 Because you clean this one out every few washes, you can reuse it for several months. Pros: don't have to replace as often, won't fall off and clog up sink, good at catching lint. Cons: you need to clean regularly, need to remember to clean when wet so it isn't damaged, lint and gunk tend to collect at the bottom of the sink (maybe meaning some more lint is getting through?) and collected gunk can smell. Drain mesh: this is just a mesh that fits over or inside the drain. I found one recently at a dollar store and added it to my drain to see what happened. I'm finding that it seems to catch some lint that is missed by the mesh catcher. It does have to be cleaned every load or two but I think it is worth it to keep my drain clean. Wetting it down to clean it works best. Pros: easy to put in, inexpensive, and reusable. Cons: won't work alone (it would probably clog up the sink too fast), has to be cleaned every wash or two. 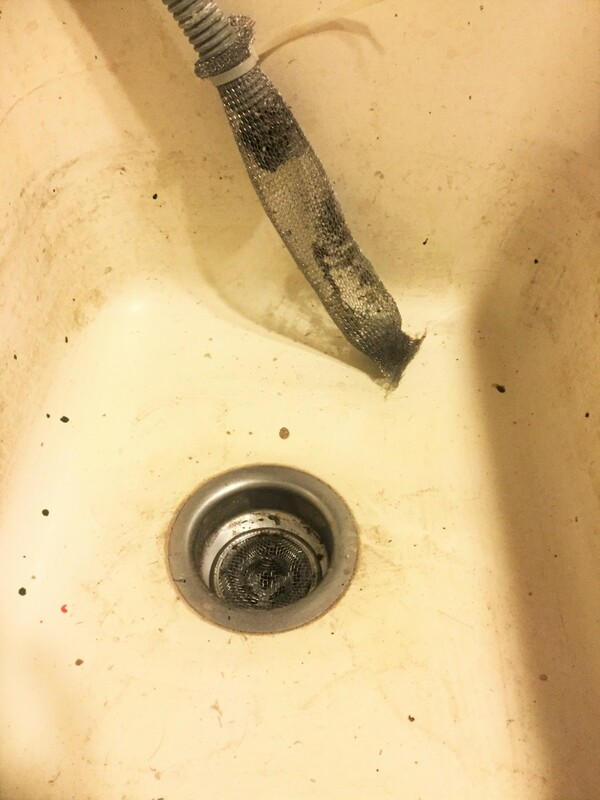 Combination: If you, like me, really want to get as much lint as possible out of your pipes, you might want to consider some sort of combination technique with a mesh liner on your drain pipe and another lint catcher in the drain. Along with using the lint catchers, it is a good idea to start treating your drain monthly with enzymes. The lint catcher will get the lint and the enzymes will clear out the soap scum on a regular basis. By applying both of those solutions, I haven't had to call a plumber out for my laundry drain in over 15 years. Why do you need enzymes? Enzymes Clear Out Gunk in Drains: Since the lint catcher doesn't get everything that makes a clog, and soap and dirt still build up in my drains (I can tell because the water coming from the washer doesn't drain as quickly after awhile), rather than waiting for a major build-up, I've decided to be pro-active and used an enzyme product which works on the pipes by using bacteria that eats the soap and other stuff in the drain. Enzymes Keep Drains Running: If I use them every month, they makes the whole thing run smoothly. If I forget, I eventually have to call the plumber in again. The enzyme works pretty far down in the pipes if you use it regularly. With five kids and two parents, we have a lot of laundry. I do about 12 loads a week. So I need to keep those drain pipes in good shape. The cost of using enzymes once a month in all our drains is under $5 so is well worth preventing another plumber's visit! What Kind of Enzyme to Buy: There are several different types of products, some are dry and you add water (Zep and Bioclean) others are already mixed, and you just pour (Flo-zyme). I've used several different sorts of these products and looked a lot at reviews and it seems that, in spite of price differences, all of these seem to work the same, so buy what is easiest or least expensive for you. They aren't usually available at the grocery store or even Walmart, but you can find them at a hardware store like Home Depot, or buy them online at Amazon, which is where I buy them. How to Use Enzymes: You need to give them time to work, so the best way to do that is to pour them in the drain at night and let it set. If it is your first time using the enzymes, or if the drain is slow or clogged, then pour boiling water in the drain in the morning. Otherwise, you can just run the water until it turns hot and then let it go down for a few minutes. If your drain seems to be still slow or even stops up when you first use the enzymes, it may be that all the gunk is melting off and clogging it up. Just do the treatment again and it should clear up. Some of the directions on the bottles say to do three days of treatment the first time and then once a month afterward. We decided that for us, the best way to stop the problem of overflow was to install a utility (laundry) sink that the water could drain into. That way, I was able to put a mesh lint catcher on the end of the drain pipe, as well as to watch whether my drain was running slowly and needed another enzyme treatment. I'd done plumbing projects before, so I found it wasn't that hard to install a sink with a large tub. I bought a laundry tub with legs at Home Depot and also got the pipe, faucet, and other supplies there. It took me an afternoon to put it in. 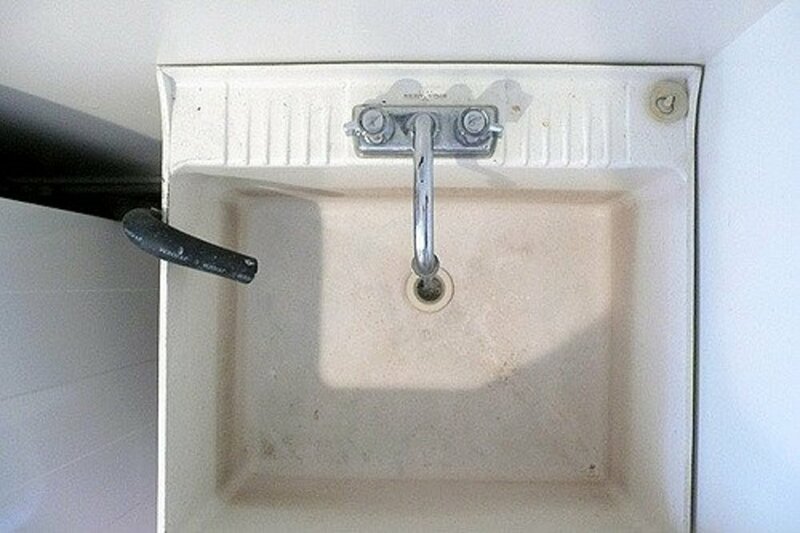 How to Install a Laundry Sink? I attached the drain from the sink to a lower part of the drain in the wall. I did have to take out some of the drywall to do that. If you don't like to do your own plumbing work, you could easily hire a plumber to do the job (or maybe convince a talented friend). 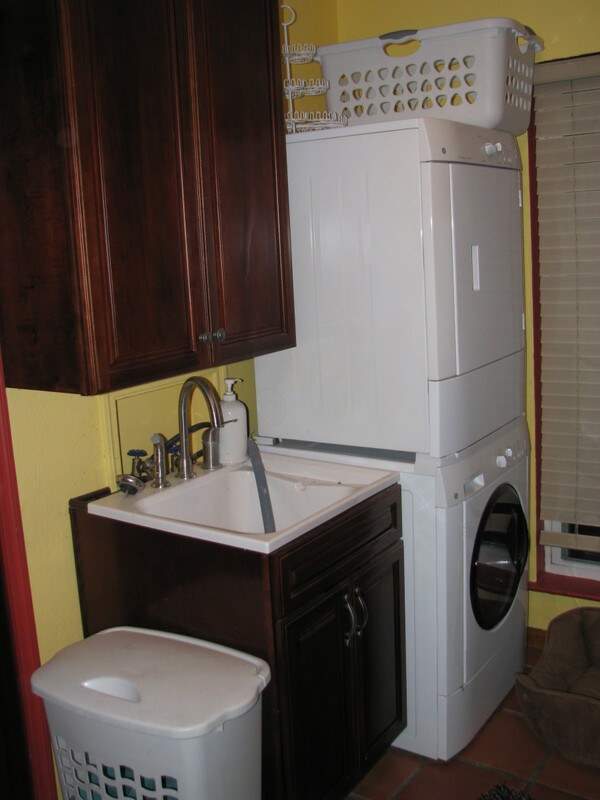 When we remodeled last year, we bought a cabinet to put the laundry sink into. A side benefit of having a laundry room sink is that I now have a place to wash out shoes and dirty items. 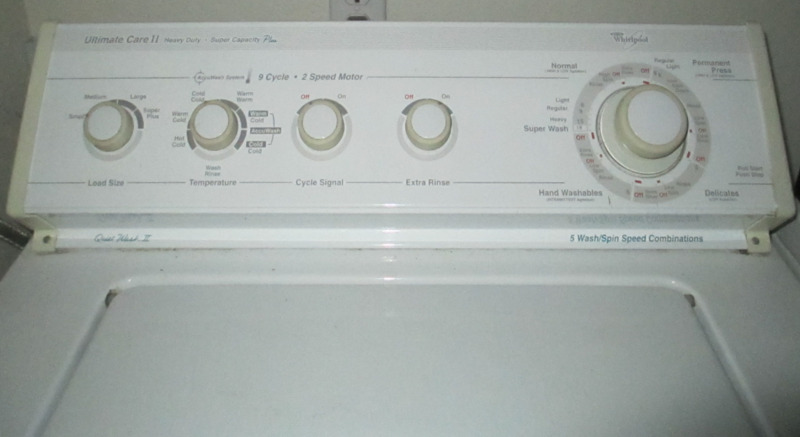 A final solution is to change to a front-loading washer. Front-loaders use much less water, which means they might not overflow your existing pipes. Although front loaders are expensive, I actually got a great deal on Amazon on this LC, which has worked great for me for 5 years not. Amazon delivered it and I hired a local plumber to install it. After a few loads of our front loading washer, I realized that the lower volume of water might have solved our problem without a sink. 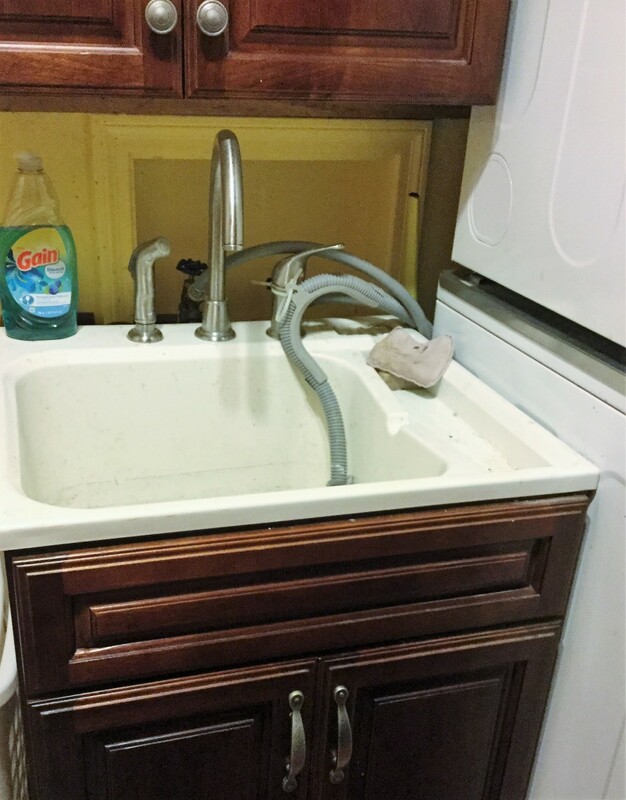 However, I'm still glad we did install the sink because it does allow me to catch the lint better and to watch the drain, but for some people, a front-loader might be an easier solution, and much less expensive than repeated plumber's visits! Regular snaking out of our laundry drain is another preventative step we take if it starts running slower. We do this with all our sinks and showers. You can buy a professional metal snake, or just do a short snaking of the first couple of feet with a plastic snake. We have two types. One comes with Draino, and I got it at the supermarket. It is plastic and has barbed edges. The other one is a wire with a metal Velcro-like tip. I like the wire and velcro one best because it bends easier once it goes down and seems to grip the gunk better. You can get both on Amazon if you can't find them locally. How Snakes Work: Both work similarly and are best at getting out hair and lint that sticks in the drains. I push the snake down the drain, turn it around, and then pull it up again. Especially if you have a dog or human hair that goes down your drains, this can help a lot since hair clogs are hard to dissolve with any drain product. Will vinegar and baking soda with hot water work to fix drain pipe overflow? I have read about this method but not tried it. This comes from the "volcano" science experiment idea that you but a base (baking soda) with an acid (vinegar) and there is a reaction. Since the reaction creates a non-toxic solution, I think it wouldn't hurt to try this. Is a 1 1/2 inch pipe too small to small to properly drain an older washing machine? I assume what you mean is that the drainpipe coming out of the washing machine is going into a 1 1/2 inch pipe in the wall. Whether that is a big enough pipe depends on the volume of water coming out of the machine, and whether the lint in the water coming out of the machine clogs that pipe. With an older house, the pipes were generally built to handle a smaller top-loading washer, which was standard at that time. However, bigger top loading machines may make a larger volume of water than the pipe was designed to carry. However, a front-loading high-efficiency machine doesn't use as much water and may work fine unless the lint clogs the pipe. We have three washers in our cabin resort. We have one main "P" trap that all flow into. 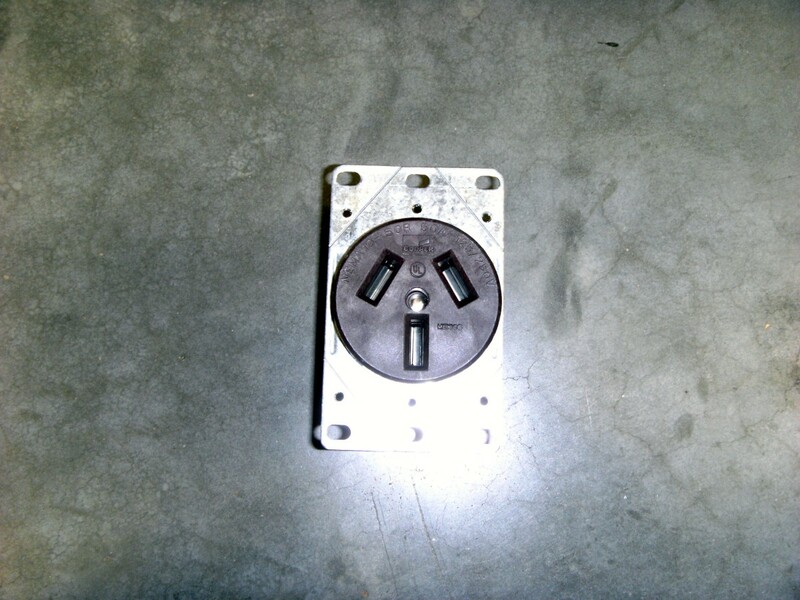 Do we also need a trap for each washer drain as well? I'm sorry that I cannot give specific advice on your situation, but I do think you need to be sure that each washer has something to catch the lint before it goes down the drain and I'd suggest that you also use enzymes to keep the drains clear. Thanks for sharing your solution Patty! I had the problem of wash-machine discharge water coming up into the shower drain. The shower is downstream on the same drain line. I solved it by installing a utility sink and letting the washer discharge into the sink. Then the washer water goes down the drain slower and doesn't cause a problem in the shower. Thank you for your tips. I'm having the same problem and was thinking whether a utility sink would help. I've always seen the drain into the utility sink with a lint trap but all of my neighbors have a similar set up to mine with no issue. I'll go ahead and try the enzymes first then utility sink. Thanks for you great article! Oh, If you have a top loading machine that is large capacity it is quite probable that you have exactly the same problem I experienced. Follow the steps I outline here on this article and I hope this helps you. 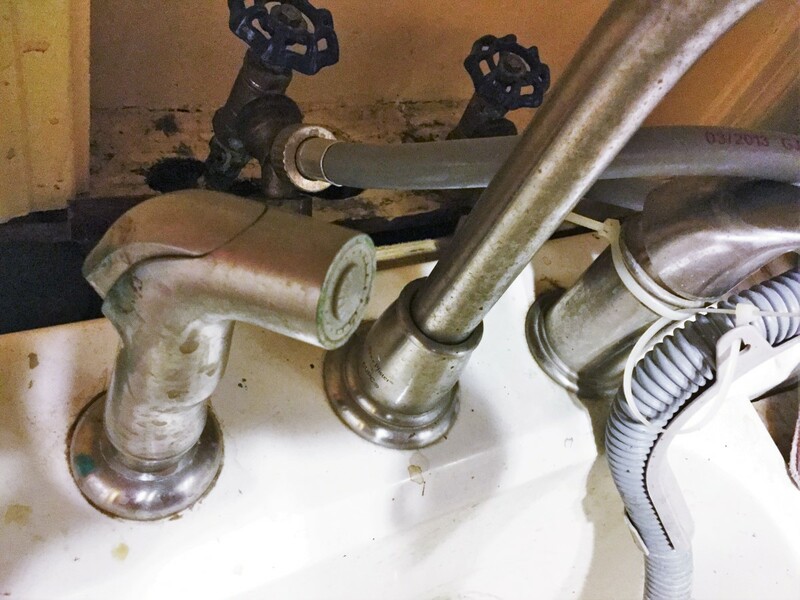 If enzymes don't work, you may want to call a plumber in to have the situation evaluated, although I personally did not find the plumbers I hired to be terribly helpful and often their suggestions were expensive. 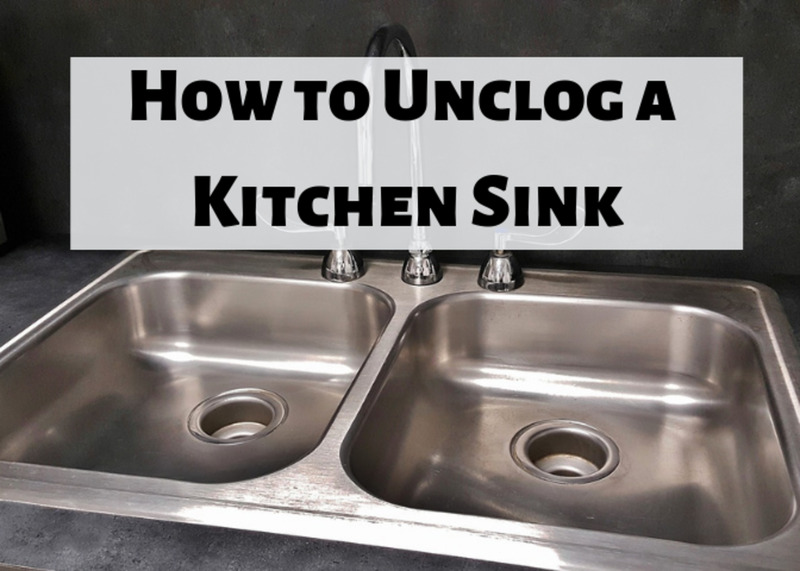 If you have room to put a sink in the area, that is often the best solution when unclogging doesn't provide enough draining. Hi Adkruger-- I do not exactly know what is going on with your system but I suspect there is some lint/soap scum that is partly blocking the pipe which is what is causing the back-up and overflow. It might be that when you interrupt the water draining you give just enough of a break for the rest of the water to be able to drain down. I think snaking it and then using enzymes might do the trick. I'd also suggest doing an enzyme treatment in the other sinks nearby to make sure the whole system is clear. After an enzyme treatment, you might want to (carefully) pour some boiling water down that pipe to clear it out before running the washer again. Alternatively, you might want to have a plumber come out and make sure it is completely cleaned out first before starting enzyme treatments. Hi. I am hoping someone can help me. We just moved into a new home. The first month we had no issues with the washer. A couple of weeks ago, we noticed water by the washer. Long story short, the drain pipe the washer drains into is overflowing. It was still draining but not quick enough We used Drano to try to open the drain three times but it did not make a difference. I know we need to get a snake to try to remove any lint other other debris. I have used a metal mesh to catch any new lint. Thanks Cate for the good idea! I'm always hoping that other people chime in with things that work for them. Hi LC--I have not used Hair and Grease, but I looked it up and it uses Lye to open drains, like many of the commercial drain openers. Those sorts of drain openers can work to unclog drains and can be used on a stopped up drain; however, I would be reluctant to use them in a washing machine drain (especially a wall drain) because if they don't work, they are very toxic and can hurt you. Enzymes work best on slow drains and, used monthly, are a good preventative measure to keep drains running. Even if an enzyme treatment doesn't solve your problem, it won't hurt you at all to touch it. Any of the enzymes discussed in this article or the Amazon links will work very well on washing machine drains. Is there a good brand of enzymes or drain opener for washing machine drain (target soap scrum)? I usually use Hair and Grease which is great for kitchen and bathrooms. This all seems like great advice and most remedy the situations we face when laundering. However, never at anytime, winter or summer should you pour boiling water down any PVC drain pipe. PVC pipes connect to each other with high strength cement glue. Boiling water will break down that bond eventually, depending on the amount used. Also, pvc pipes can distort when high heat is applied. If you must use boiling water, straight into drain is the only way it should be administered. I would avoid this method entirely because of it's unharnessed power to destroy much more than a clog. Hi Kent--I don't know the answer to your question, but it sounds to me like freezing could still be your issue. We just got back from Christmas holidays and the main stack vent on the house was frozen due to extreme cold weather. I have poured hot water down the drain in hopes of clearing it. However, our washing machine when on a drain cycle overflows the 1 1/2” drain pipe and then the water just sits there. Could the main stack still be frozen? Hi Pumpkee--I am very sorry to hear you have had so much trouble. I would suggest that you might want to run things with lots of pet hair on them through an air dry cycle in your dryer next time to get some of the hair out before washing (or even take them to a laundrymat to save your own pipes). I do think you can put the enzymes down that pipe in the back but it can still be a problem if you don't get it cleaned out first (if there is hair/lint and other stuff blocking things). I recently used a plunger on mine after doing enzymes and that really made the drain run even faster (I think the enzymes eat up the junk but it kind of can stick around in the pipes if (like me) you sometimes miss a month of doing it). Good luck on getting the warranty on the plumber. Be sure to call the BBB and complain if he does not help you. I'd like to try a short snake to clean out lint due to overflow as well as a bio friendly enzyme. I do not have a drain sink currently (washing machine empties into a water holding tank). Where can I pour enzyme in? Take out discharge pipe and pour in before bedtime? I wish I had a tub sink but former owners did a crazy set up and holding tank makes zero sense w/my house design I've been told by plumbers. PS - I dog sat a very heavily shedding dog week of Thanksgiving, once the dog left, I washed all linens it laid on. 30 Minutes later after using washing machine, water holding tank is backed up in lint w/washing machine overflow to boot. One month later, I still have overflow from washing machine now and holding tank is leaking despite all screws and bolts securely tightened and replaced per plumber advise that came out day after dog left. Plumber stated he could not guarantee water tank wouldn't leak, but when asked, he said he would give his work a 30 day warranty. He is not answering my calls. Hi Cathie--At least the enzymes are worth a try! One other thing that I've done in my showers is to put in mesh screens that I make out of the same stuff you'd use to rescreen your windows. I find that these screens trap all sorts of lint and hair that used to go down my drains. I have to change them about once a week. I have an article that shows how to do that. Hello Virginia, thanks so much for the advice. We had a problem with the wash water not leaving the pipe, going on the floor. A plumber recommended new pipes, 18 thousand dollars. We think a lint trap and enzymes will be a little cheaper and makes much more sense. I will keep you posted on the progress, thanks again! Hi Krystal--We had a similar backup when we moved in and it often was during the rinse cycle. I think that more water must go down during that time. Having the pipes away from the house fixed is an expensive thing. Do you have a top loader or an HE front loader? What one plumber told us is that modern washing machines have a much bigger capacity than older ones and the pipe leading into the sewer that our house had was not able to handle the volume of water from our top loader. We put the sink in because it let us trap the lint that was clogging our drain and also let the water build up in the sink and then drain down slowly so we didn't have an overflow. When we later got a HE machine, we found it had much less water coming out. The drainage pipe might be able to handle a HE machine, but I still like the fact that I can trap the lint and prevent build-ups. It is also easier to put the enzymes down the sink rather than the pipe behind the washer. Another possible option for you is to have someone with a camera come out and examine your pipes to see if the whole thing is really cleaned out. Definitely try some enzymes first. Do it for 3 days in a row and pour boiling water down the pipe after the first time (be very careful! I use a tea kettle with a spout). If you do that and the washer works without overflowing, just keep up the enzymes and you might be ok. At least it is worth a try before you tear up your pipes! Just moved in the house in january of this year. Water is backing up from the drainage pipe when my washer goes threw the rinse cycle, not the washing part. We have already had to have a plumber come out and unclog the drains that lead from our toilets as they were backing up into the showers. Apparently the pipes that leads away from the house goes at an upward angle instead of a downward one. Plumber said we should get that fixed. Could these be related? Hi, Emily! Sorry for your trouble. Actually, I've had this sort of thing happen too, although not in my kitchen area. Pipes from different areas in the house all drain into common main drains to go out to the sewer system. It sounds to me like your clog is in one of the drains common to your kitchen/laundry area. That is one situation when I usually do call a plumber. If you can live without your drains for a while, you can try using the Main Line enzyme cleaner overnight (pouring some into all the drains affected and not using them for 8 hours or so, then pouring down boiling water). However, you might want to call a plumber to get the lines unclogged faster. Afterward, I'd strongly encourage you to use enzymes monthly to keep those drains clear. After over 20 years, I've learned my lesson. Every time I forget enzymes, I end up having problems with slow or stopped drains. Good luck! We had this happen today and I did not want to call a plumber or wake my husband so me and my son did some troubleshooting. we found that the problem was not the washer and was not the hose goes. I made the mistake of pouring water down in the sink in the kitchen and turn the dish disposal on and it shot stuff out at my son who was standing behind the washer. I am assuming that this is not normal? Hi Judy--I so hope these tips help you. I've been in our house for 23 years now and haven't had any problems with overflow after we put in the drain sink. At one point I was doing about 12 large loads a week. I do occasionally find that the sink gets a bit slow when I forget to use my enzymes regularly. Sometimes I just clean it out with a Draino type product and then put the enzymes in again and we are all set. Good luck! Thank you, thank you, thank you! I will try these tips. My house is older and the laundry drain pipe jeeps overflowing too, and snaking des not solve it. I am going to see about the drain sink, lint trap, and front load washer. Im so, so sick of constantly having drain water all over our garage floor! (Our washer in the garage.) Thanks again. Hi Hollie-If by the pipe area behind the washer you mean that the pipe that is pumping used water out of the washer into the wall is overflowing then you probably have the problem I described. I went through a lot of plumbers before I finally got an answer that made sense. Older houses have pipes that can't handle the amount of water that flows from our newer, bigger washers. One solution is a low water high-efficiency front loader. The idea of smaller loads might help but if your washer pushes a lot of water out at a time, that still might overwhelm the small pipe. Make sure that the pipe is as clear of soap gunk by using an enzyme treatment overnight and then (carefully) pouring boiling water down it. I'd do that at least 3 nights in a row. That night make the pipes clear enough that they would work. If so, then just repeat the treatment about once a month. We rent a condo that was built in the 60's with our laundry in our kitchen. We bought a new washer and have had problems with water leaking out of the pipe area behind the washer. It's a mess. A plumber told me yesterday our pipes are old, but fine. He suggested I do smaller loads. Doesn't seem to work. I have no idea what to do. Thank you sssooo much for your explicit details and solutions. Your detective story and results are exactly what we needed to fix our draining problem. I use the one that I have listed from Amazon above. I can't find it now at my local store, so I was happy when I was able to buy it online. Hi Lacy--I'm in complete sympathy! We've been in our house for almost 25 years, so we've dealt with our drains over the long haul. We did end up putting in a clean out in the part of our home that didn't have one and that does work better when we have them snaked out by a plumber. However, in the long run you want to avoid having to call the plumber. You might need to have it done to get everything taken care of and clean, but I'd suggest that you start doing enzymes and using lint trappers on a regular basis. 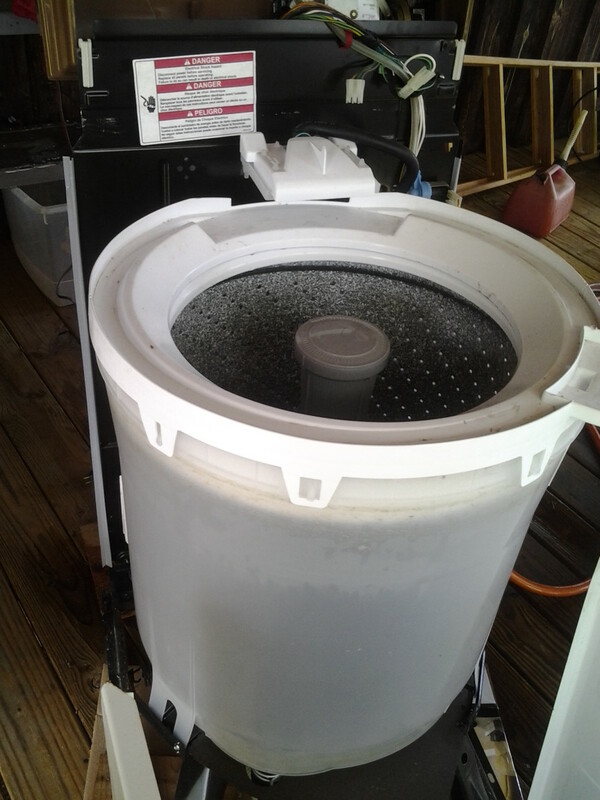 I also found that our problem got a lot better when we went from a top loading washer to a front loading one because it uses less water. I think that your home warranty should help you to get this fixed. I'm not sure if your probelm is the washer or the main pipe. It probably depends on where the pipes are running from. Is the washer first and then the sink before it drains outside? 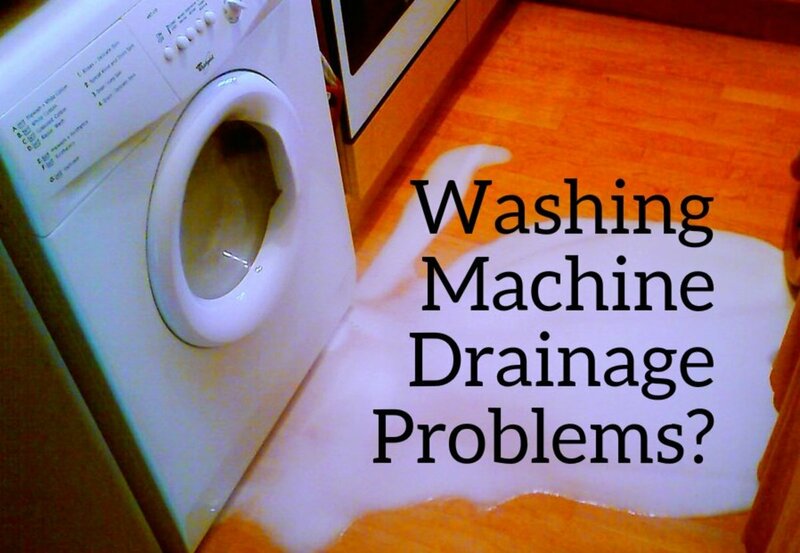 If so, the problem is probably not the washer drain. However, it is the stuff going down the washer (lint) which might be clogging it up. I am having issues with my washer backing up. First it was out the drain pipe onto the floor so my boyfriend blocked that off and then the water came up my kitchen sink. This is the only issue I'm having and my home warranty says I need a plumber and the plumber is saying it's the main line and they would have to put in a sewer clean out as my house does not have one. This is extremely pricy. Does this sound like it is just the washer pipe or the main pipe? Any info is appreciated! I also tried draino and it did not help. Hi Rina--so sorry to hear you are having this problem. I'm not sure this would be a scam but it might be very expensive and not necessarily helpful. I had a plumber that wanted to use the camera on mine too. I think there may be a problem on our old line but so far we've been able to keep things running by using the tips I put in here. If your line is working, then I'd hold off on the camera. The problem is that the solution will probably be tearing up your yard to find the pipe (or maybe even tearing up the floor of your house (yikes!). While that might be the best solution, you might not need anything that drastic if you are more careful about what goes down the drain. The things I've outlined in this hub and my other one about the shower drains have worked for us for about 12 years. Basically, I make sure that hair and lint down the drain are minimized by using lint catchers on the shower drain and pipe from washer. I use the enzyme treatments monthly. When I get a clog, I use a declogger and then put in enzymes for 3 days in a row and flush with boiling water. Just had this happen. Plumber snaked it. It stopped at 25ft. He claims it's probably a broken pipe. Sounds bogus to me. The top came back with only lint, no mud. He wants to come back with a camera next. Ugh. I feel stuck... Much like my drain. Any thoughts as to whether he's right or trying to scam us? Hi Karen--I've used several but am now using the K-79 Main Line cleaner. Which Roebic product do you use? I don't know whether that diagram would fix your problem. One thing that can help is to get a low flow washer if you don't want to put in a sink. Glad to know a snake works for you Jacob. That is certainly another possible way to get it fixed. It doesn't happen to work for us but that is probably the way our pipes are configured. Tara--I'm glad this idea will help you. It certainly solved our problem. In addition to the sink, it really helps to keep the lint catchers on it and to use the enzymes regularly. I actually just bought a new kind based on what some of my viewers had found searching on Amazon. It is Roebic brand. I learn a lot from my readers too! Another way I'm working to make sure no lint gets down is that I bought an in-drain mesh catcher too. That does seem to catch even more stuff that gets through the first one. I do have to clean that one after every load or two. I should say that I do a lot of pretty messy laundry with 5 kids and lots of outside stuff going on. I also wash my car mats and other pretty dirty things. Good luck to you! I have this problem! I thought a utility sink would do the trick and it looks like that is the route I will be going. I went from a front loader that was overwhelming the drain to a top loader. I think the sink will be my best bet as I have a dishwasher, kitchen sink and my washer all draining into the same drain and my washer is the only problem. I will install the utility sink and hopefully that will resolve the problem! Thanks! Alan--So glad this helped you! We struggled so long with this problem that I wanted to share what we learned so that other people could avoid the problems and damage if possible! Helped me fix my washing machine quickly following your article. So sorry to hear of your problem with your drain! I have used draino sometimes to clean out a clog but the one problem you can have is that draino is a very caustic chemical and if it won't go down the drain then you are stuck with a sink full of a chemical you can't touch. One thing to try is to use the enzymes overnight and then pour a large pot of boiling water down. If that at least unclogs it a bit, then try it again until the whole thing is clear. I have an overflow sink fir my washer, however my washer tub is clogged. I changed the P pipe but still clogged. I tried to snake the drain in tub and wall and even basement floor drain. No luck. I'm thinking now of using draino...I'm so behind with laundry and laundry mats are too expensive. Anyone have luck with draino? Hi Mike--One thing I learned in going through this process with our house is that different types of washers emit more and less water, and at different rates. Many of the older houses had the drains designed to handle the smaller capacity washers that were available at that time. However, some of the high efficiency/ low water use washers that are available now might be helpful for small drains as well. Even so, lint and soap can cause a drain to plug up, so it is important to keep it clear. You can either do a regular clean out with Draino or other product, or do the enzyme treatments. But the problem is that if you wait for it to overflow, you still might end up with water damage (which is what happened to us). The overflowing drain happened today. We moved into a rent house that came with a washer. The new owner, my brother, wanted to use the washer in another house, so I bought one and switched it out today. So the water started flowing up out of the drain and my delimma how to fix it began. But the way the original washer was attached didn't have this problem, as we ran for the month prior to us buying another. So here is what they did, they used hose clamps on the 2" drain with an adapter for the smaller size hose from the washer, and put a hose clamp on the washer side too. So the washer drain was basically a sealed setup. I'm not sure if this had any negative effects on the washer pump, as it would build up pressure and have to run longer before the tub would empty out. I'm now considering if this connection setup is ok.
Scott-I love the idea of using the knee highs! I'm going to get some! I had a laundry sink that required a plumber clean out the line about every 2 months because of the lint from the washer. McGuyver called (my wife) and suggested I put one of her knee high stockings over the drain out hose and attach it with a zip tie and just leave it hooked over the sink. Once a month or so i put on a new stocking and haven't needed a plumber for a year or so. You can't believe the amount of lint that goes down the drain especially if you wash fuzzy carpets, etc. I hate it when she is right! I think I need to work on putting a sink in my house. Great ideas! Hi Michele--I'm not a plumber but I've had many different problems like this before in various houses. It sounds to me like you have a clog a ways down the drain. Do you have a clean out in your house? If you do, then a plumber can come in and get that clog out. Even if you can't put a sink in your laundry room, you can use the enzyme treatments regularly and those help a lot to keep the drains clear. 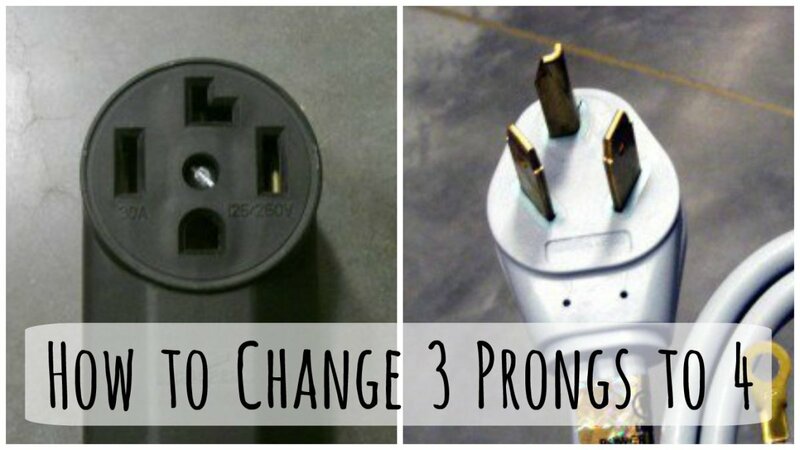 If you do still have things draining out, you could try a 3 day treatment first before you call a plumber. The directions will be on the treatment container. I've used different kinds--both liquid and powder you dissolve first. When I'm regualar with treatments, my drains stay clear. Yes--I'm married now, but was single until my mid-30s and had to learn how to do a lot of things on my own. I want all of my daughters to learn plumbing and how to fix things, and I've taught my son how to sew. In this theatre class (25 girls and 2 guys) he was the only one who knew how to sew, so he got the job of making the princess dress for their project! Very funny! Sometimes it is tough being the only grown-up in the house. No one shows up to help with these fix-it projects. Mary--thank you so much for coming back to tell me that! I've actually owned three older houses, so I've had many chances to learn my lessons. Now my only problem is when I accidentally drop a sock in the sink. But I was careful to buy a big tub so even if it accidentally gets stopped up, it doesn't overflow! Your plumbing helps are amazing. I think I fixed my problems myself, thanks to you and your easy to follow instructions. Pia--yes, I think that just putting the lint catcher on helps a lot. I've also noticed recently that I need to be careful when I put them on. I had one that touched the sink on the bottom and that one got rust and a hole. So I need to make sure that the drain pipe and lint catcher hang without touching anything. We had a similar issue with our laundry sink as well. 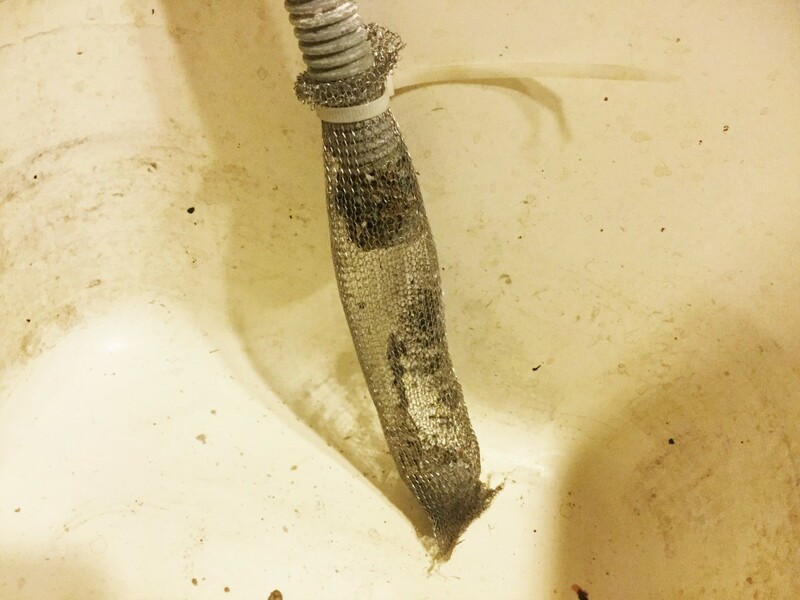 While we replaced the pipe and unclogged the drain, I think that the mesh lint catcher would be an excellent idea. Thanks for the tip! Thanks noturningback for your comment. I did actually see the 2" T and trap idea online although I don't think it would have worked in our particular drain. Thanks for the information about the acid. Actually, the Draino product I was referring to here was the enzyme one. I've found it online and at Walmart, but there are other enzyme brands out there too. If I remember to do the enzymes, that seems to do the trick. We've been fortunate so far and have not had our laundry drain pipe back up. Your enzyme tip in the other hub, though, combined with this hub, will have my putting the enzyme treatment into the laundry drain also. Good hub, voted-up and useful.